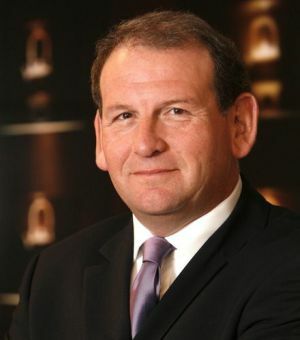 Andy Cosslett is Chief Executive of IHG (InterContinental Hotels Group), the world's largest hotel group. IHG owns, manages, leases or franchises over 4,300 hotels and almost 630,000 guest rooms in nearly 100 countries and territories around the world. The Group owns a portfolio of well recognised and respected hotel brands including InterContinental Hotels & Resorts, Hotel Indigo, Crowne Plaza, Holiday Inn, Holiday Inn Express, Staybridge Suites and Candlewood Suites and also manages the world's largest hotel loyalty programme, Priority Club Rewards with 44m members worldwide. IHG has nearly 1,600 hotels in its development pipeline, which will create 140,000 jobs worldwide over the next few years. “The hotel and tourism industry is the fifth largest industry in the country – bigger than the oil and gas sector and all the manufacturing sectors, including motor manufacturing. Yet in the UK, we’re generally overlooked as an economic driver. Tourism is tucked away, and largely forgotten about, as part of the Department for Culture, Media and Sport. And in the last 11 years we’ve had eight different Tourism Ministers come and go. For an industry worth £86bn a year and responsible for 2.7m jobs (more than twice the number employed by the NHS) this doesn’t seem right. Travel and tourism, and the infrastructure it requires, can be a great catalyst for economic development. This year, across IHG’s brands, we’re opening a hotel a day around the world. We’ll be employing people to work in these hotels, buying goods and services and promoting the hotels around the world. 2009 has been challenging so far for travel and tourism. Initially we saw less people travelling – as they waited to see how the economic crisis would unfold. Now, in a bid to encourage more people to make trips, hotel companies are offering some great deals and promotions. Combined with the current exchange rate it’s actually a great time to be travelling to the UK. But the UK needs to remain attractive, and competitive, as a tourist destination over the long term. So we urge the Government to extend their support of the growing tourism industry. Encouraging travellers to visit the UK is just one part of the challenge we’re facing – there are also operational business issues that our franchisees are grappling with. The hotel industry has long been a stable for the small business owner. Many of our franchisees are small and medium sized businesses. They are entrepreneurs, who have decided to partner with us because they want to be in business for themselves, but not by themselves. Our franchisees are facing more than the impact of the current downturn. The impact of the Carbon Reduction Commitment, rates revaluation and capital allowances are just some examples of the demands our hotel owners are going to have to tackle over the coming year or two.